Cheshire Window Shutters pleated blinds combine the key elements of flexibility, design and performance that sets them apart from other pleated blinds. Choose these to provide a true focal point to any room or to provide the necessary control for heat and light in a conservatory or atrium. 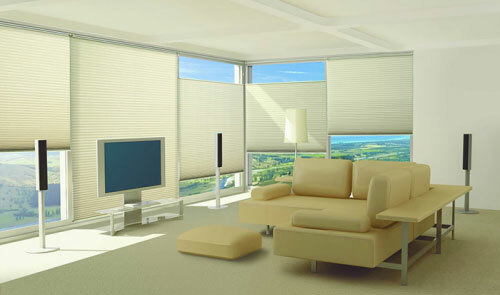 Our pleated blinds have been at the forefront of development for two decades and continue to lead the way. Available to work with window and door systems featuring a variety of bead depths, the pleated blind systems offer users a variety of fixing and operating options that will support their use in any situation. We carefully select the materials that are used in the manufacture of our pleated blinds to ensure the ultimate performance in use and years of satisfactory ownership. The ability to furnish those awkward or difficult window shapes with Cheshire Window Shutters pleated blind systems allows the user to provide total shade solutions to any situation safe in the knowledge that the products will provide the levels of comfort and performance required. 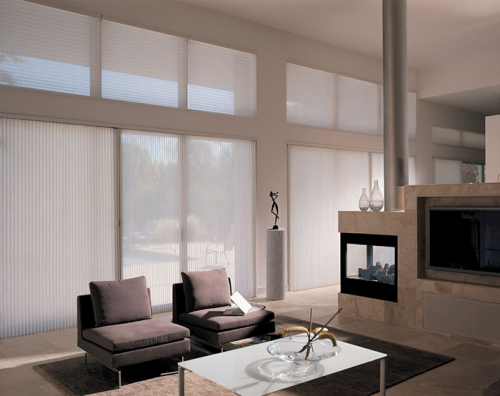 Performance is always important but never more so that with pleated shades, which are used in highly glazed areas of the home. The need to control the amount of solar gain and create an environment that allows full use of that space is critical – as too is the need to reduce thermal loss in the winter time. All our pleated blinds fabrics have been carefully developed to provide high performance – each pleated fabric has fully detailed performance figures resulting in easier selection processes and no disappointments. Contact us today to learn more about our Pleated Window Blinds.